No more blockers. Get your data into Craft! 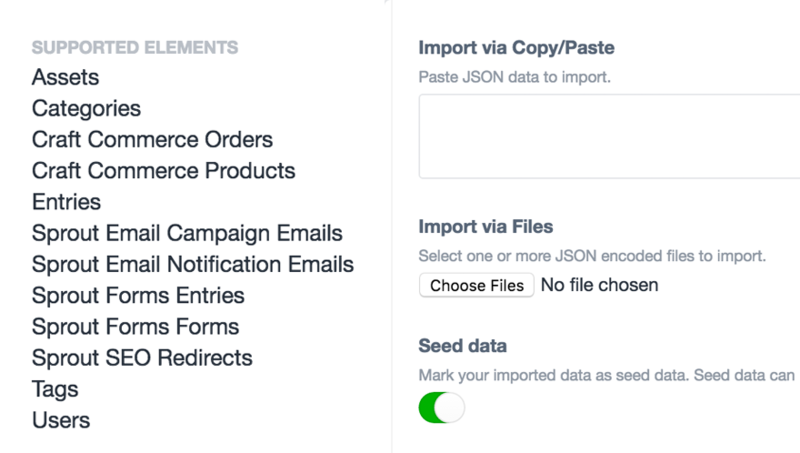 Import data to Craft, Craft Commerce, the Sprout Plugin Suite, and add your own custom integrations. Sprout Import is an extremely flexible and extensible import plugin. 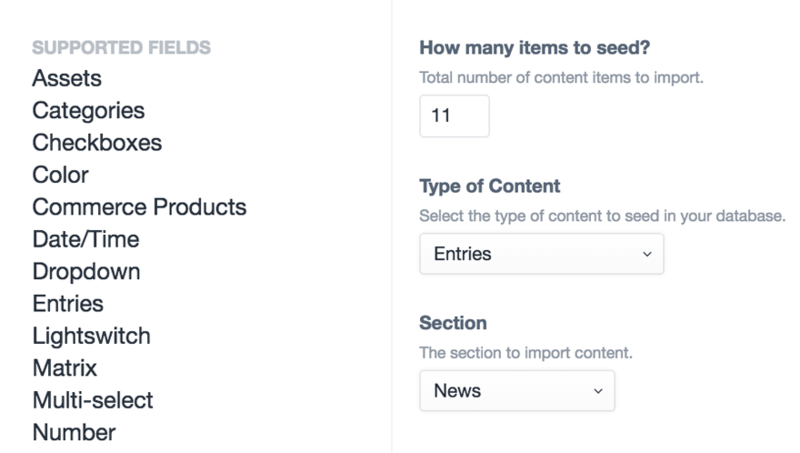 Out of the box Sprout Import supports over 40 data types such as Entries, Users, Assets, Products, Orders, Forms, Email, and Redirects; and more can be added as needed via plugin integrations. No content? No problem. Don't let your design and testing process get blocked waiting on content. Generate as much seed data as you desire, and easily remove it from your database when the real content arrives! Create fake content for Entries, Categories, Form Entries, and all native Craft field types, including the Matrix and several third-party field integrations. Create reusable import patterns for common content architecture problems and kick start all of your projects. 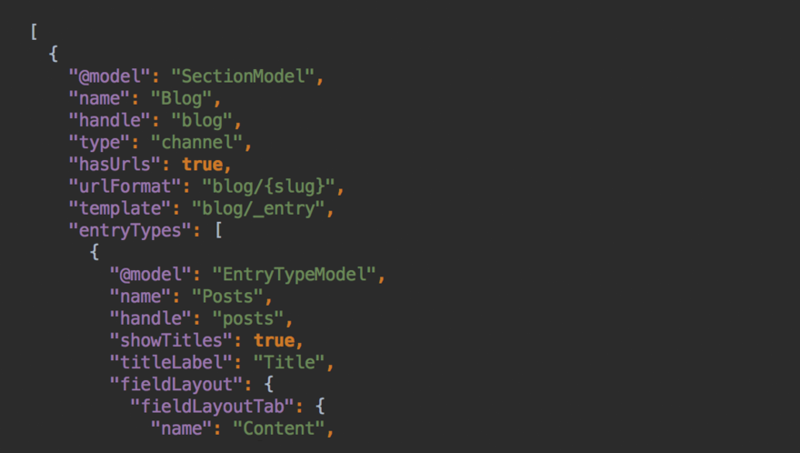 Prepare your patterns using a familiar Craft Import JSON Format and you'll be up and running with your Structure Navigation, Blog, or favorite Matrix Field Layout Builder in no time! Optimize Craft CMS to improve your workflows, impress your users, and acheive your business goals. We have over 20,000 hours of Craft experience and work in close collaboration with businesses, agencies, and individuals to help make Craft CMS the best platform for you and your business. Save time and build a website that respects best practices and is designed to be scalable, maintainable, and grow with your online business and marketing needs. Make your life easier, your customers happy, and your business run more smoothly. On top of our experience with the Sprout Plugin Suite, we’ve designed and built numerous custom plugins to help organizations address unique business and marketing challenges. From custom workflows to e-commerce to deep API integrations with customer databases, analytics, and cloud services, we can help build custom plugins suited to your specific needs. Spend more time focused on your business. We’ll spend the time to focus on your website. Maintaining your website, content strategy, and customer relationships have a large impact on your business. Whether you’re a business owner, marketing director, or content author, we can help keep things running smoothly. We offer on-call and monthly retainer services to help you answer burning questions, fix annoying bugs, update software, monitor analytics, and even come running if there’s a fire. Build your roadmap to improve performance, usability, and identify new business opportunities. Curious how your Craft website stacks up against all the other Craft sites out there? As a digital agency and CMS specialists who have worked with Craft since day one, our team can provide you insight into everything from content architecture to code debt. Request an audit to learn about optimization opportunities and provide a path for your business to create a better user experience and a more targeted digital strategy. Enjoy Sprout plugins? Want to learn how to make even better Craft websites? We have built over 50 custom Craft websites and plugins for businesses and design firms.